The winners of our National Primary Care Awards 2017 in association with Williams Medical were announced at a gala dinner at Birmingham’s National Motorcycle Museum last night (18 October). The awards recognise the exceptional work of individuals and organisations in primary care who have gone the extra mile. The ceremony was held on the evening of the first day of the National Association of Primary Care’s annual conference Best Practice. Celebrity guest entertainer, broadcaster and author Gyles Brandreth announced this year’s award winners. Kay Keane from Alvanley Family Practice in Stockport. Kay has changed the culture of the practice by focusing on patients who need something other than medicine. Isolated patients are offered social activities including walking, singing, cooking, eating together and growing vegetables. Patients have benefited and the pressure on GPs has been reduced. By employing apprentices, she has increased the workforce with little extra funding and given work to local young people. The practice now has 40 percent of its staff on apprenticeship schemes. Maria Howdon – Head of Membership Development at Thanet Clinical Commissioning Group in Kent. Following the closure of five local practices, Maria led the development of the Thanet Health Primary Care Home (PCH) – one of the NAPC’s rapid test sites chosen to pilot the PCH model. She took a lead role in bringing together primary and community nursing into one integrated team, focusing on skills and the needs of the patients rather than historical roles. Vacancies in the nursing team have subsequently dropped from 24 to zero. Thanet Health PCH’s successes include the introduction of an acute response team which has produced more than £0.5 million worth of savings, based on 15 admissions being avoided per week, and a patient satisfaction rate of 98.8%. Dr Karen Kirkham – a GP at the Bridges Medical Practice in Weymouth, Dorset, and Assistant Clinical Chair of Dorset Clinical Commissioning Group. Karen has been instrumental in delivering a new model of care which has brought together people from health and care teams to support people with complex needs in an integrated way. This has resulted in better quality services for patients and carers while at the same time reducing reliance on hospital services. Karen is described by colleagues as “passionate, thoughtful and caring, driven not by self-interest but by the belief that people’s experience of health care can be improved – an inspirational leader who makes personal sacrifices for the greater good”. Larwood Health Partnership – a GP partnership which is part of Larwood and Bawtry Primary Care Home. The practice has successfully turned around four small, failing practices and made significant improvements in the care of its patients. During the last year, it saved a small practice, which had become insolvent, with just one weekend’s notice. The primary care home model has enabled the partnership to recruit two partners and three salaried GPs during the last three years after a 12-month period when it was unable to recruit any GPs. Northamptonshire Carers – an organisation working with partners including the county council and NHS to improve support for carers. In November 2016, the organisation set up a community service called Breathing Space to improve the health and wellbeing of patients with chronic respiratory disease. The service runs in Daventry and Northampton using local churches as meeting places. It’s run by a qualified nurse and former social care manager, a local GP with a special interest in respiratory medicine and a community psychiatric nurse experienced in providing psychological support such as mindfulness. Patients can attend without referral from their GP and with their carer. Patients with chronic obstructive pulmonary disease (COPD) who attended Breathing Space were compared with those who had not attended over the same six-month period. The results showed a 36 per cent reduction in hospital admissions among those using the service compared with a 35 per cent increase in those not attending Breathing Space meetings. There was a similar reduction in A&E attendances. A special Lifetime Achievement award was also presented to NAPC council member Val Hempsey. Val has been a practice manager since 1989 and in 2006 she became sole contractor of Bridges Medical Practice in Gateshead – the first practice manager in the country to take on such a role. She is lead practice manager at Gateshead Clinical Commissioning Group and has a special interest in the needs of people with learning disabilities and veterans. 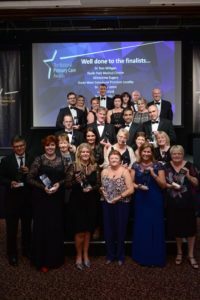 All winners received trophies and the Practice Manager, Unsung Hero and Clinician of the Year categories each received Thomas Cook holiday vouchers worth £1,000. 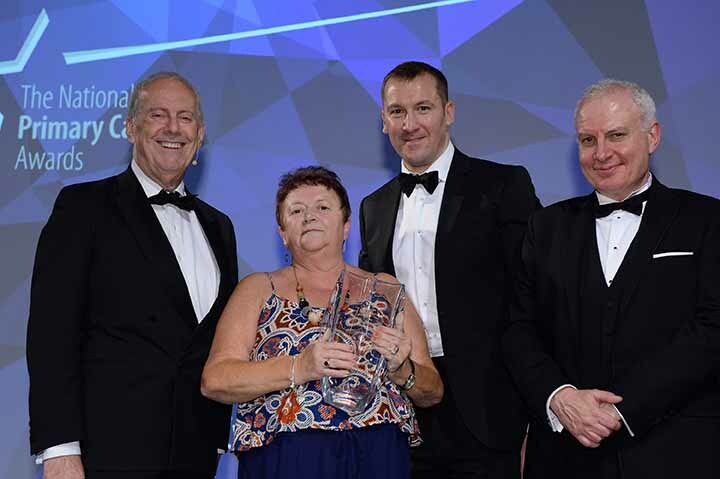 Winner of the Lifetime Achievement Award: Val Hempsey, practice manager, Bridges Medical Practice, Gateshead, lead practice manager at Gateshead Clinical Commissioning Group and NAPC council member.